Matthew Fitzpatrick will look to put the disappointment of missing out on Ryder Cup selection behind them at the Omega European Masters. 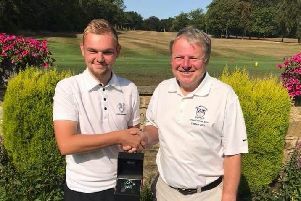 Fellow Sheffielder Danny Willett and Martin Keymar, who were never close to retaining their place after playing in the losing team at Hazeltine in 2016, are also in Crans-sur-Sierre in a week when the focus has been on wild card selections for this month's Europe v United States biennial encounter. Fitzpatrick returns as defending champion after just missing out on automatic qualification for the Ryder Cup last week and failing to earn a wild card. He is looking forward to coming back to a happy hunting ground. "I feel like I have been playing solidly all year really, I've just not had any momentum or anything go my way, and not making the important putts unfortunately," he said. "Hopefully I can do that this week and kick on for the rest of the year and pick up a win." 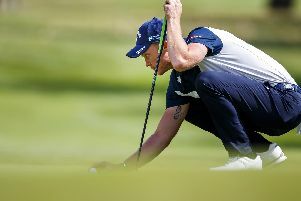 Matt Wallace, who also narrowly missed out on a place at the Ryder Cup won his third European Tour title of the year with a brilliant final-round display in Denmark under the watchful eye of Ryder Cup captain Thomas Bjorn but it was not enough to sneak into a wild card pick. It means he has to re-focus on tournament golf very quickly. "Different challenges this week but it is my second time here now, so I know a bit more of what to expect," the 28-year-old told a press conference. "If I can prepare as well as I do normally and get in the hunt, my mind and my heart can take over." Kaymer and Willett's last wins on the European Tour came in majors but both have had an upturn in form recently. "I know it's not the golf, I have some other things I need to deal with right now. Nothing too serious and nothing I can't sort out but it's step by step, I guess," said Kaymer.